Take a sneak-peek at some of the upgrades made to the historic Saratoga hotel. Good news for locals and tourists who’ve been missing out on staying at the Gideon Putnam. After closing indefinitely in January, the historic hotel in the Saratoga Spa State Park will finally reopen on May 1. Major renovations have been made to the hotel include new-look guest rooms, bathrooms and corridors. Upgrades have also been made to the hotel’s lobby and popular restaurant. Originally shuttered due to flooding in the basement, the hotel’s operator, Delaware North, took the opportunity to perform a number of other important nips and tucks to the Gideon Putnam—ones that had been scheduled to take place over the next several years. These included adding new carpeting, paint and blinds to the 124 guest rooms; and new carpeting, wallcoverings, paint and light fixtures in the hotel’s corridors. 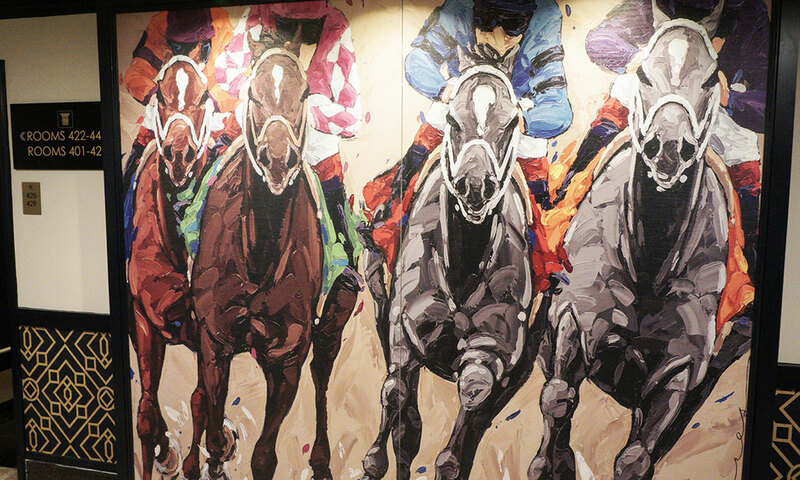 To add some new pizzazz to the hotel’s layout, Delaware North has installed artwork by local artist Frankie Flores on three floors, along with photos, past and present, of Saratoga. New carpeting and other upgrades were made to the restaurant; and sections of the lobby were repainted and restored. The flooding wasn’t just small potatoes; Delaware North noted in a statement that “hundreds of thousands of gallons of water” were pumped out of the basement, which was also caked with two feet of mud. “In combination with the other renovations that we have completed in recent years, our guests will now be staying in an almost fully renovated, elegant and historic hotel,” said Paul Jeppson, East Regional Vice President of Delaware North’s parks and resorts business. 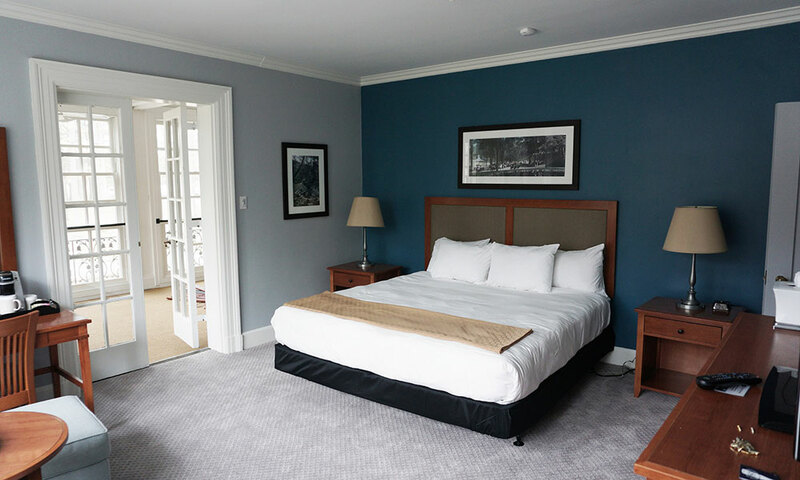 To celebrate the reopening, the Gideon Putnam is offering future guests a 25 percent discount on rooms, as part of a spring package deal; $20 in free play at the Saratoga Casino; and admission to the Saratoga Automobile Museum or National Museum of Dance. A National Historic Landmark, the Gideon Putnam first opened its doors in 1935, and is just a short walk away from the historic Roosevelt Baths and Spa. 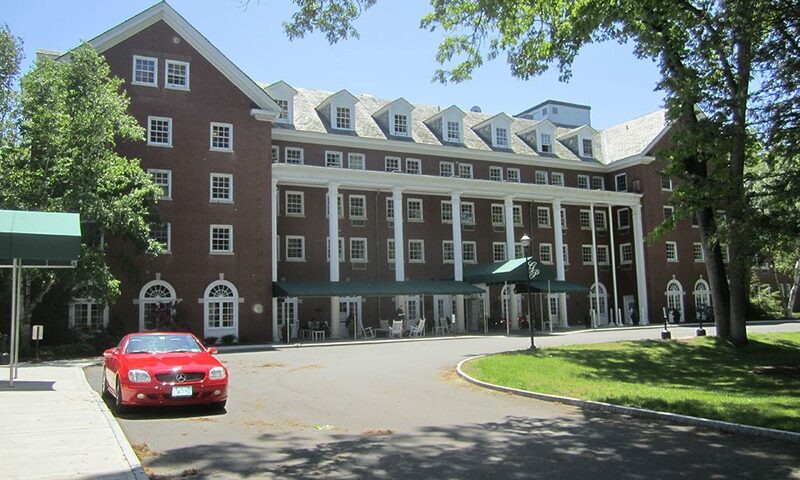 Besides being one of Saratoga’s top lodging options, the hotel also includes a 12,000-square-foot meeting and event space, a business center and Wi-Fi access throughout the property.